Hello, Ribbon Lovers! The month of February is filled with celebrations. There's Groundhog Day, Valentine's Day, President's Day...and National Adopt a Pet Weekend! I've created a pair of sweet little tags to honor pet adoption, and I thought I would share them with you here. 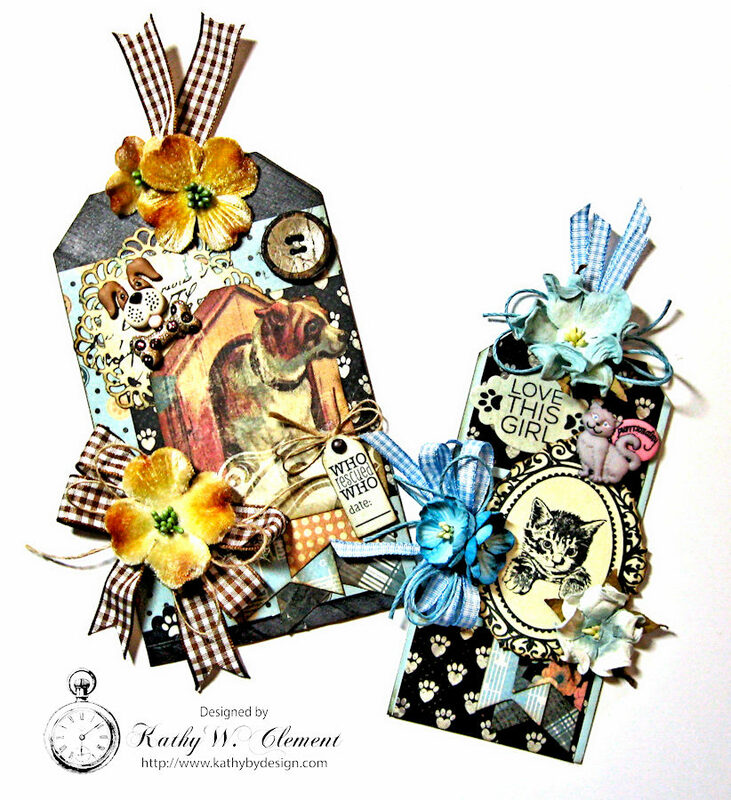 These little art tags were made with bits and pieces I had left over after making some pet themed mini albums with Authentique's Devoted paper collection. Instead of clogging up my drawers with scraps, I've developed the habit of using them to make quick cards. 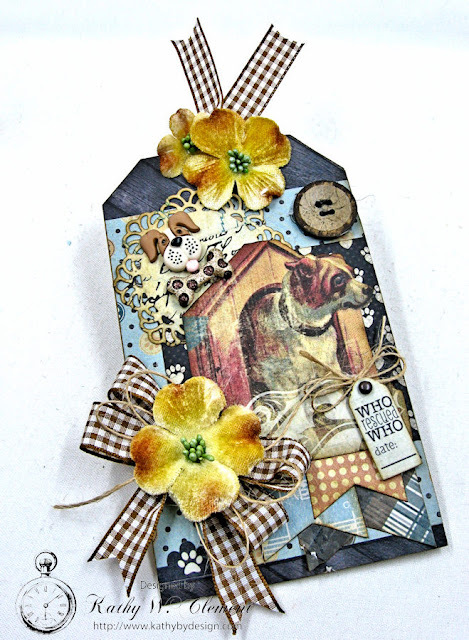 When the pieces are too small to use even on a card, tags are the answer! 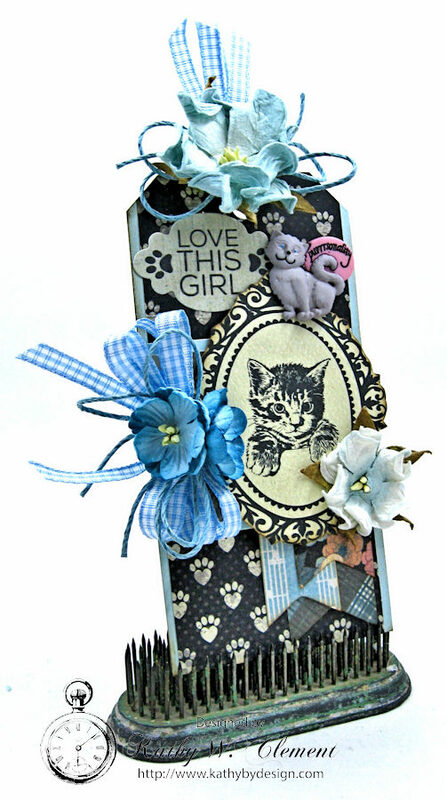 For this sweet little kitty cat tag, I framed the image with a shabby chic bow tied from Light Blue Micro Gingham. It's the perfect width for smaller projects like this 2.5" x 5" tag. I ran a double strand of the ribbon through the top of the tag, then tied it with hemp string. Another great way to use up scraps is to cut banner flags and small doilies that can be used as layering elements on cards and tags. I've added 5/8" brown plaid ribbon and natural burlap string to this sweet "Who Rescued Who" tag. I hope I've shared some tips with you here that you'll find useful! Stunning pieces and love all the layers of ribbons with those gorgeous images and flowers!